That is just the base Companion Cube for comparison. You should see how many pieces are required for the full thing! I then created this Calvin and Hobbes Transmogrifier diorama. The box is fully Papercraft, the characters are stand-up cut-outs. Right now it’s in black and white (just like the original cartoon), but I may put up a color version later this week if there are requests for it. 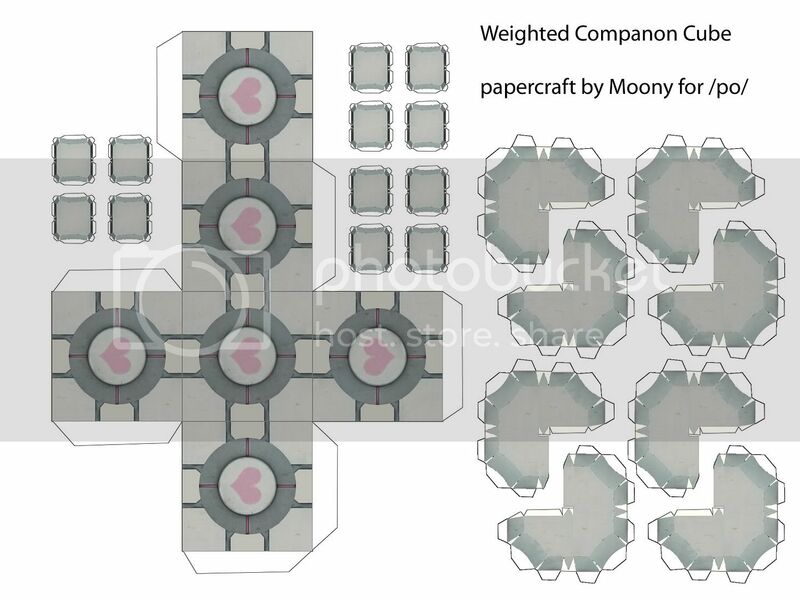 I thought this would be a very simple Papercraft project for first-timers. Plus it looks great anywhere (even just the box alone). Probably as close as we’ll ever get to Calvin and Hobbes action figures – though I always thought that was an impossibility to begin with, as Calvin’s hairline is just impossible to reproduce in 3D or sculpted form. Here it is (black and white), click to enlarge and then right-click to save: Bill Watterson really made small flaps for this box I noticed. How did it ever keep anything in there? Ah well. I would so like to download your template for this, but when I click on the image a larger version does not come up. Seems to be fine for me. It’s a popular template, never had any issues. Maybe try a different browser and see if it’s still happening? Thanks, it worked fine with Chrome. IE was not cutting it. No problems getting the download with Firefox! Love Calvin & Hobbes!! I painted some large scale C&H pictures for my son’s bedroom. This will have to go up on a shelf next to my old C&H books. Thanks for sharing that lovely idea !! You’re welcome! 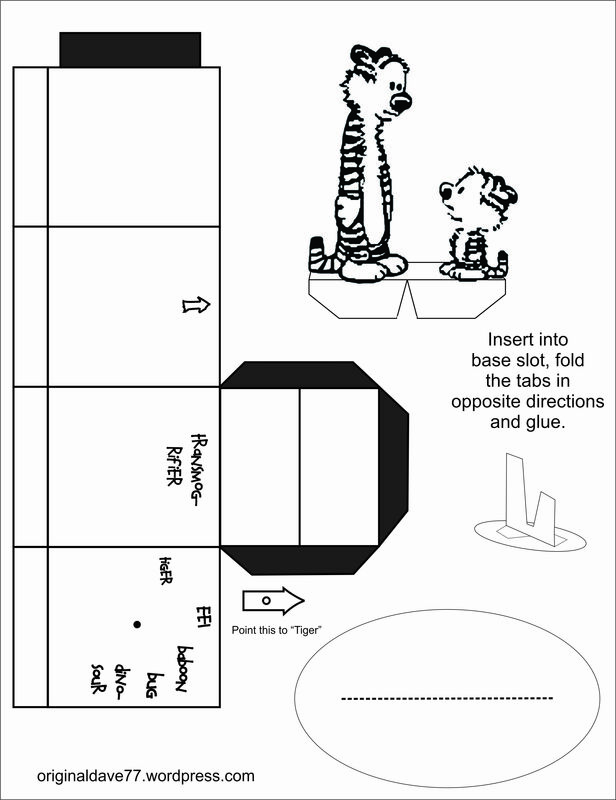 I hope to do some more Calvin and Hobbes papercraft in the near future. I am seeing it just fine in Firefox and Explorer. Not sure what is happening for you, apologies!